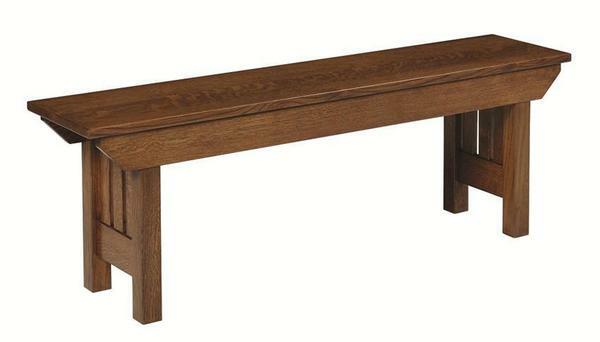 Our Fredericksburg Amish Mission Bench is simply a gorgeous piece of Amish furniture. Even the simple beauty of this bench can be highly customized with your choice of wood, stain, and choice of seat type and fabric or leather for the seat. The handcrafted Amish construction of the Fredericksburg Amish Mission Bench ensures that you will have a unique piece of furniture that can be passed down through the generations.